& nutrition, you'll love our cheesecloth bags! The sacks are essential kitchen supplies for home chefs & naturalists. Lactose intolerant or wanting to cut dairy for health reasons? Now you can strain your own nut milk from home! The extra fine mesh effectively filters pulp from your milky concoctions. It's the NO-MESS nut milk extractor! Whether filtering wet or dry food, our filtration bags get the job done. When finished, wash & reuse. How easy! 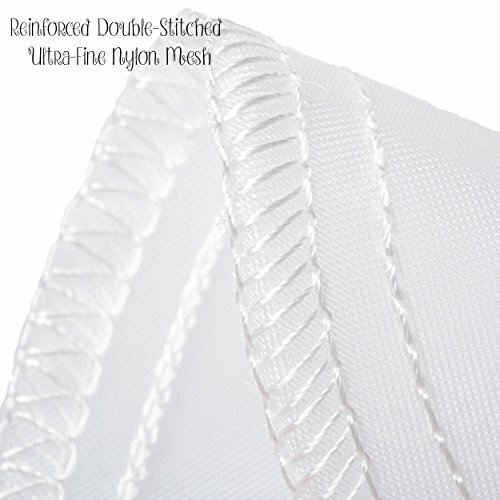 ⭐ FINE MESH Bags for Filtering Nut Milk: Unlike other filter sacks, ours have a tight weave. No spilling! ⭐ EXTRA BIG Nut Milk Maker: 16" x 20" Larger & Stronger than the average strainer bag for juicing nuts. ⭐ Equipped with DRAWSTRING Closures: Securely tie the cheesecloth strainer if needing to store or pack. kefir cheesecloth or cheesecloth oil filter. Food grade cheesecloth bags can even be used as cheesecloth herb bags. 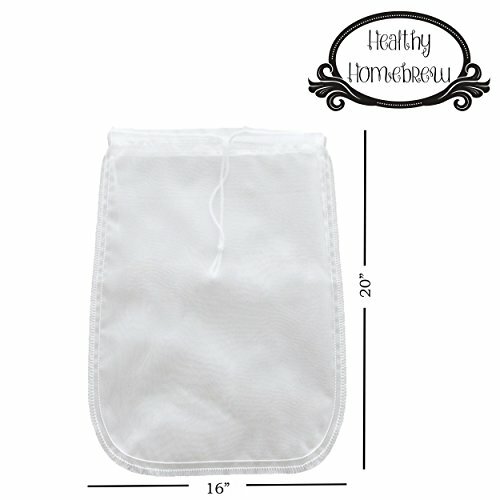 · BIGGER & BETTER THAN OTHER NUT MILK BAGS: Measures 16 x 20 inches - For larger industrial size applications, designed for use with a 5 gallon bucket. A wider opening ensures the nut milk sack doesn't waste milk or make a mess. It's the mess-free nut milk solution! REUSABLE, TOUGH, ULTRA DURABLE, WASHABLE: Made out of a premium grade super fine mesh material, our nut bag filter holds up well with every use. That's right. It's reusable, easy to clean & crafted for added durability. 2PC VALUE PACK - MORE BANG FOR YOUR BUCK: Enjoy cooking & making your own nut milk or yogurt? This package includes TWO drawstring mesh bags, so you can always have one handy. Healthy homemade cooking here you come! 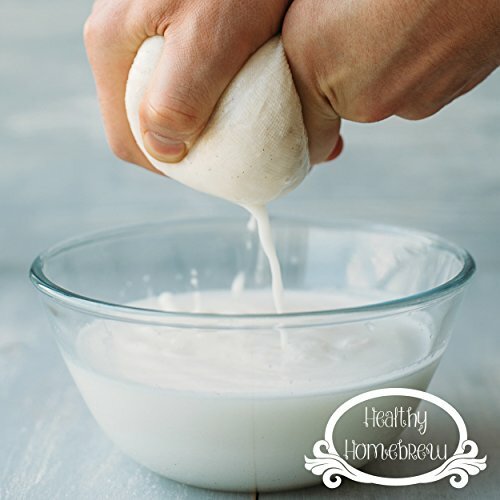 MAKE HEALTHY, NUTRITIOUS NUT MILK AT HOME: The modern DIY enthusiast prefers our nut bag for almond milk, cashew milk & hemp milk because it's stronger, wider & more reliable than most reusable cheesecloth strainer bags. 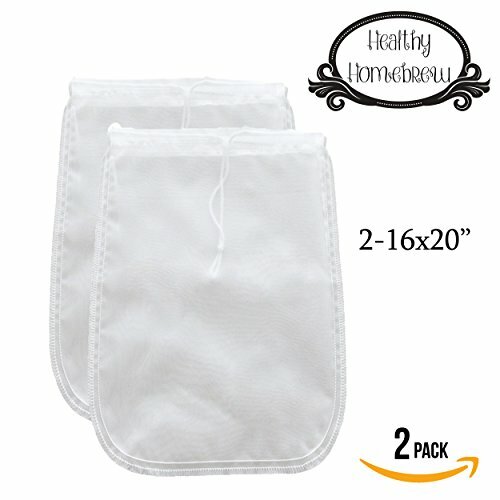 COUNTLESS COOKING USES FOR STRAINING BAGS: While commonly used as a nut milk & Greek yogurt strainer, our wet dry filter bag can also be used as a cheesecloth for straining cold brew coffee, kefir, kombucha & more! If you have any questions about this product by Healthy Homebrew, contact us by completing and submitting the form below. If you are looking for a specif part number, please include it with your message.